Sir George Ballingall, British surgeon, born May 2, 1780, Forglen in Banffshire; died December 4, 1855, on his estate Altamont near Blaigowrie in Pertshire. Ballingall first attended four literary sessions at the University of St Andrews, and then commenced medical studies at the University of Edinburgh, where for a period he was assistant physician under the anatomist John Barclay (1758-1826). He received his diploma from the Royal College of Surgeons, Edinburgh, on December 17, 1805. Upon the retirement of John Thomson (1765-1846), Ballingall in 1822 was appointed his successor as Regius Professor of Military Surgery at the University of Edinburgh, soon afterwards becoming surgeon to the Royal Infirmary. On the occasion of the accession of the throne by William IV in 1830, when Ballingall was a member of a homage deputation from the university senate, he was knighted. After Ballingall's death the chair of military surgeon was abolished. An elephant's skeleton he prepared and sent to the anatomist John Barclay from Bangalore became the subject of a caricature drawn by Edinburgh artist John Kay as a comment on a controversial proposed professorship of Comparative Anatomy. The equally controversial professorship of Military Surgery was to occupy much of Sir George's time and effort during his tenure in the post, as he fervently sought to impress upon the political authorities of the day the necessity of teaching military surgery as a separate discipline, and to establish similar chairs or lectureships in London and Dublin. He also took a keen interest in the running of the Army Medical Department, particularly during the disastrous Crimean years. He assembled preparations and exhibits, incorporating the collection of Sir Rutherford Alcock (1816-1897), to be displayed in a museum attached to the class of military surgery, and some of the dry preparations (bones) still survive. An infectious, but not contagious, fungal disease usually localized in the foot, but also occurs on other exposed parts of the body, such as the legs and back. James Syme, Scottish surgeon, born November 7, 1799, Edinburgh (probably); died June 26, 1870, Millbank near Edinburgh. Though he never earned a medical degree, Syme was a dominant figure in Scottish surgery throughout his career, remembered for some innovative and daring surgical procedures. He was one of the early advocates of ether anaesthesia in 1847, and he was also the inventor of the waterproof material mackintosh. Syme spent most of his boyhood in his fathers country house in Fifeshire, and in 1817 became a pupil of Dr. John Barclay (1758-1826) at the extramural school at Surgeon's square. Before he began his medical study, Syme studied medicine at the university, where he discovered a method by which rubber (caoutchouc) could be dissolved invented the technique for dissolving rubber in a solvent and using it for making a fabric into waterproof laminates. His solvent consists of rubber dissolved in a coal-tar naphtha solution. Syme submitted his discovery to the editor of the Annals of Philosophy, but for various reasons publication was delayed. During the interim, the Scottish chemist Charles Macintosh (1766-1843), learned of the method, elaborated on it, developed it further, and patented it for commercial purposes. As a result, the Mackintosh raincoat was born and Syme, who took little interest in commercial matters, lost an inestimable fortune. In 1818, Syme entered a position at his cousin, Robert Liston (1794-1847), who had his own surgical practice in Edinburgh, and even had his own dissection room, of which Syme became prosector. In 1820 he became medical superintendent in the Fever Hospital, where he himself fell gravely ill with typhus. In 1821 he was elected house surgeon in the Royal Infirmary, in 1822 a member and 1823 fellow of the Royal College of Surgeons. Within a short time Syme had made himself a name, both as surgeon and a master anatomist at the Liston institute. It was here, in 1823, he conducted the first exarticulation of a hip (Edinburgh Medical and Surgical Journal, 1824). One major problem facing Liston and Syme was the lack of bodies for investigation. Most of the cadavers in Edinburgh ended up with John Barclay or the Monros, at the time represented by Alexander Monro, tertius (1773-1859), last in line of the famous Monro dynasty. Therefore, both Liston and Syme were forced to do some grave robbing to supply their new school with adequate dissection material. Together Syme and Liston performed many operations that have since been shown to have historical precedent. By 1823 the once close friends had become bitter enemies. Their personal relationship had become so acrimonious that when Syme applied for the surgeonship of the Royal Infirmary, the managers declined to appoint him for fear that his feud with Liston would be carried into the classroom. With Dr. John Mackintosh (-1837), Syme establish a medical school of his own, in which he taught anatomy and surgery from 1825. He soon abandoned anatomy, however, due to the difficulties in obtaining bodies, and devoted himself exclusively to surgery. Most of the difficult, dangerous operations carried out during the early nineteenth century were performed in the humble homes of poor patients. The surroundings were unfavourable; modern conveniences were few. Syme, desperately in need of a private hospital, attracted students in such numbers - some 250 - that in 1829 he was able to commence the establishing of a surgical clinic of his own. This private clinic was recognized by the Royal College of Surgeons of England. His growing reputation was enhanced by the publication in quick order of another important paper on excision of elbow joints (1829) and his monumental Treatise on the Excision of Diseased Joints (1831). In 1833 Syme was appointed Regius Professor of clinical surgery at the University of Edinburgh, replacing James Russell (1755-1836), who retired. Syme had actually made an agreement with his predecessor to pay him a pension if he resigned. Syme now had established himself in the premier surgical chair in Edinburgh, he had been placed on the staff of the Royal Infirmary, and his surgical and academic reputations were secure. When Robert Liston moved to London, Syme also succeeded Liston as surgeon to the Royal Infirmary. Syme and Liston were reconciliated in 1840, mainly on the initiative of Liston. "To bring the cases one by one into the room, where the students are comfortably seated, and if the patients have not been seen by the surgeon beforehand, so much the better; then ascertaining the seat and nature of their complaints, he points out their distinctive characters. "Having done this so everyone present knows the case under consideration, the teacher, either in the presence of the patient, according to circumstance, proceeds to explain the principle of treatment, with his reasons for choosing the method preferred; and, lastly, does what is requisite in the presence of his pupils. "The great advantage of this system is that it makes an impression at the same time on the eye and ear, which is known by experience to be more indelible than any other, and thus conveys instruction of the most lasting character." As a teacher Syme was the undisputed leader in Edinburgh, but Liston continued to rival him as a surgical operator and had a large consulting practice in Scotland. In 1835, however, Liston assumed a professorship in London and Syme was left in undisputed possession of Edinburgh and Scottish surgery. In February 1848, following the death of Liston, Syme succeeded Liston as professor of clinical surgery at University College Hospital in London. This post became a brief one, however, as Syme returned to Edinburgh, resuming his position as professor of clinical surgery, after only a few weeks in office, probably because he did not like life in London. In accordance with the new charter of the Royal College of Surgeons of England, Syme became one of the first 300 members elected by its council. A less known pioneering effort of James Syme was the Burn-House at the Royal Infirmary, Surgeons Square, the first ever hospital for burns. This made possible a strict isolation of patients with heavily infected burn wounds. In 1853 Joseph Lister became Syme's house surgeon, and in 1855 he became engaged to Syme's eldest daughter, Agnes. It is said that Lister was the only individual with whom Syme never quarrelled. Syme lived at No. 9 Charlotte Square, where his son-in-law Joseph Lister lived 1870-77. Syme was, with Nikolai Ivanovich Pirogov (1810-1881), the important European surgeon to adopt ether anaesthesia in surgical operations. He was also an early supporter of the concept of antiseptics as taught by his pupil and son-in-law, Lord Lister. He retired in 1868, suffered an attack of partial paralysis in 1869, and died the following year. Syme was one the leading surgeons in his time. Famous for "his" amputation, he also explored alternatives to amputation, but where these were necessary he tried to minimise the damage caused by removing as little diseased tissue as possible and even experimented with reconstruction through what is today known as 'plastic surgery'. If not much occupied by theory, he had a healthy, one could say audacious and cold-blooded approach, a dextrous operator with thorough anatomical knowledge. As in the case of thriving plants, it is of more consequence that the roots of your character should strike deep in public confidence than that there should be a premature production of flower, or fruit. Edinburgh Medical Journal. 1867, 13: 197. It is as difficult to bring a boy up to be a medical man as it is to educate him for a bishop. Quoted by W. K. Pyke-Lees in Medical Ethics, Chapter II. In 1828, Syme performed one of the most remarkable operations carried out in the Royal Infirmary of Edinburgh during the early decades of the 19th century. The patient was Robert Penman, who had an enormous tumour, believed to be an osteosarcoma, of the lower jaw that produced severe disfigurement of his face. Three years earlier Liston had seen the patient and judged the tumour to be inoperable. Later, he had been pursued to see doctors George Ballingall (1780-1855), professor of Military Surgery in the University of Edinburgh, and his colleague John Abercrombie (1780-1844), then recently appointed physician to the King in Scotland, in a joint consultation. When Ballingall and Abercrombie in 1828 invited Syme to see Penman, Syme was still in his late twenties and not yet appointed to the staff of the Royal Infirmary. However, he had gained a considerable reputation in the city as a particularly bold operating surgeon. He carefully examined the patient, and the operation to remove the tumour was carried out on the 7th July by Syme with the assistance of Ballingall. Syme operated without the benefit of an anaesthetic, to completely remove the tumour. The patient not only survived the operation, but also remained in excellent health for many years afterwards. The operation was performed with the patient sitting in an ordinary chair, and in all took twenty-four minutes, "but all this time was not employed in cutting, as I frequently allowed a little respite, to prevent exhaustion from continued suffering. The patient bore it well, and did not lose more than seven or eight ounces of blood. His breathing was never in the slightest degree affected". The patient did not lose more than seven or eight ounces of blood. He recovered well, and the dressings were removed on the third day. During this period he was fed through a funnel with a curved tube directly into the pharynx. Five weeks later he was seriously thinking of resuming his occupation. Penman lived for another thirty years after the operation. Penman's tumour weighed four and a half pounds when operated. Seventeen years after the operation, Syme was stopped in the street by the patient. He informed him that he had initially worked for a few years in Coldstream as a bootmaker, and then emigrated to New York, where he had remained for ten years, and that he had returned home to Scotland on a short visit. More interestingly, Syme noted that he was "no less surprised than pleased to see how little the operation had injured either his appearance or articulation. Careful inspection, indeed, was requisite to enable an ordinary observer to detect any thing peculiar in either of these respects". In 1855, Lord Lister, noted that Penman's "deformity" had been wonderfully masked by a bushy beard. "The mouth was placed diagonally across the face, and had suffered such monstrous distortion as to measure fifteen inches in circumference. The throat of the patient was almost obliterated, there being only about two inches of it above the sternum, so that the cricoid cartilage of the larynx was on a level with that bone. When the tumour was viewed in profile it extended eight inches from the front of the neck. It completely filled the mouth, and occupied all the space below it, from jaw to jaw. The tongue was thrust out of its place, and lay between the teeth and cheek of the right side. The only portion of the jaw not implicated in the disease was the right ramus and base of the same side, from the bicuspid teeth backwards. The tumour, where covered by the integuments, was uniformly very firm, and for the most part distinctly osseous. The part which appeared through the mouth was a florid, irregular, fungous-looking mass of variable consistence, from which an alarming haemorrhage had occasionally occurred; and for the last three or four weeks there had been almost daily a discharge of blood to the extent of one or two ounces. Notwithstanding the great bulk of the tumour, the patient could move his jaw pretty freely in all directions..."
The operation was performed with the patient sitting in an ordinary chair, and in all took twenty-four minutes, "but all this time was not employed in cutting, as I frequently allowed a little respite, to prevent exhaustion from continued suffering. The patient bore it well, and did not lose more than seven or eight ounces of blood. His breathing was never in the slightest degree affected". Case of osteo-sarcoma of the lower jaw, removed by James Syme, Esq. F.R.C. Edinburgh Medical and Surgical Journal 1828, 30: 287. A modification of Syme's amputation at the ankle joint in which the skin flap is taken from the inner side. An amputation at the ankle with removal of the malleoli and formation of a heel flap. William Pulteney Alison (1790-1859), medical practitioner. Born in 1790, Alison graduated MD from Edinburgh University in 1811, and became physician to the New Town Dispensary in 1815. He successively held the Chairs of Medical Jurisprudence, Institutes of Medicine and Practice of Medicine at the University of Edinburgh from 1820-1855, and served as first physician to the Queen in Scotland. Alison died in 1859. "Well, as a devotee of Carlyle's magnificent prose (though one must be careful not to claim that Carlyle's thinking is actually representative of what other Victorians thought...many thought him a madman, and after the Second Reform Bill of 1867 I believe he stopped writing about politics because fewer people took him seriously by then; he was opposed to a profound current of the times: democracy and reform.) Anyhow, just you try and find out anything about Dr. Alison beyond that he was a fine Scottish physician whose works you may be able to get hold of on microfilm." Robert Christison was born in Edinburgh on 18 July 1797. He was educated at the Royal High School and then at Edinburgh University where he followed the Arts course. Christison chose a medical career however and graduated from Edinburgh in 1819, having submitted a thesis for the degree of M.D., entitled Dissertatio medica inauguralis, de febre continua, quae nuper in hac urbe epidemica fuit ... on fever. This was completed while he was a resident medical assistant in the Royal Infirmary, 1817 to 1820. A brief period of study in London followed, at St. Bartholomew's Hospital, and then he went to Paris where he studied analytical chemistry and laid the foundations for his future reputation as a toxicologist. On his return to Edinburgh in 1821, he became involved right away in the contest for the Chair of Medical Jurisprudence at Edinburgh University. Christison was appointed to the Professorship in 1822, still in his early twenties. He then set about giving a scientific basis to medical jurisprudence, particularly toxicology. Christison learned German in order to look at his field in that language, and soon became known as a logical and accurate lecturer and medical witness. In his capacity as medical adviser to the Crown in Scotland, from 1829 to 1866, he acted as medical witness in nearly every prominent case in Scotland, including the trial of Burke and Hare (who had murdered to meet the growing demands of anatomists for bodies) and the trial of Madeleine Smith (a murder trial famous for its not-proven verdict). Christison drew up instructions for the examination of dead bodies for legal purposes and these became the accepted guide at the time. He also ascertained accurately the distinctions between signs of injuries inflicted before and after death, and investigated the detection and treatment of oxalic acid, arsenic, lead, opium and hemlock poisoning. In 1827 he was appointed physician to the Infirmary, and then in 1832 he resigned his Chair of Medical Jurisprudence and was appointed to the Chair of Materia Medica and Therapeutics which he held until 1877. This he had held along with the Chair of Clinical Medicine until 1855. In addition to his work on poisons, Christison investigated Bright's disease, and fevers, and he published a large number of papers on chemistry, medical jurisprudence, materia medica, medicine, and botany. Included among his publications were A treatise on poisons, in relation to medical jurisprudence, physiology, and the practice of physic (1829), On granular degeneration of the kidneys, and its connection with dropsy, inflammations, and other diseases (1839), and A dispensatory, or commentary on the pharmacopoeias of Great Britain: comprising the natural history, description, chemistry, pharmacy, actions, uses, and doses of the articles of the materia medica (1842). He experimented with the Calabar bean from West Africa and its principal active ingredient, eserine, which is still one of the most important drugs in pharmacology. 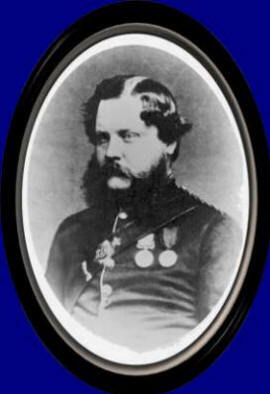 In 1848, Christison was appointed Physician in Ordinary to the Queen in Scotland, and in 1871 he became a Baronet. He was elected twice as President of the Royal College of Physicians, 1839, and 1848, and was also President of the Royal Society of Edinburgh, 1868-1873. Professor Sir Robert Christison died on 23 January 1882. Sir James Young Simpson, Scottish obstetrician, born June 7, 1811, Bathgate, Linlithgowshire, Scotland; died May 6, 1870, 52 Queen Street, London. Simpson was the first to use chloroform in obstetrics and the first in Britain to use ether. He introduced the terms ovariotomy and occydynia. He studied under Robert Liston (1794-1847) and received his authorisation to practice medicine - licentiate of the Royal College of Surgeons of Edinburgh - in 1830. He was then 19 years old and subsequently worked for some time as a village physician in Inverkop on Clyde. Two years later he returned to Edinburgh where he received his medical doctorate in 1832. The professor of pathology, John Thomson (1765-1846) entrusted him with some lectures, and in 1835 he was made senior president of the Royal Medical Society of Edinburgh. Following hard efforts, Simpson in 1839 at the age of only twenty-eight years, was appointed to the chair of obstetrics at the University of Edinburgh, succeeding James Hamilton (1767-1839). Lecturing in obstetrics had been somewhat neglected at the university, but Simpson's lectures soon attracted large numbers of students, and his popularity as a physician reached such proportions that he could soon count women from all over the world among his patients. Besides his activities as a scientist and teacher he had a very busy - enormous, really - practice. Simpson was president of the Royal College of Physicians in 1849, in 1852 he was elected president of the Royal Society of Edinburgh, and one year later was elected foreign member of the French academy of medicine. He received several honours and awards, in 1856 the golden medal from the Acad�mie des sciences and a Monthyon prize. In 1847 he was appointed one of the Queen's physicians for Scotland. In 1866 he was knighted and that year also became doctor of honour of law at the University of Oxford. In 1869 he received the freedom of the city of Edinburgh. After the news of the use of ether during surgery reached Scotland in 1846, Simpson tried the novelty in obstetrics on January 19 the next year. He enthusiastically advocated the use of ether, but soon began searching for an anaesthetic that was less irritant. The idea to use chlorofom come from his chemist, David Waldie (1813-1889). Waldie had been a fellow student of Simpson's who had given up his medical practice in Scotland to become a manufacturing chemist in Liverpool. He developed a method of producing a purer preparation of chloroform than had previously been available. Before its use as an anaesthetic, chloroform was an ingredient of a number of remedies, but was contaminated to a varying extent with alcohol. After some investigations, Simpson found that chloroform would be better for the patient, and thus already on November 15, 1847, he gave the first public demonstration of this new anaesthetic. Already a few days later he published his classic Account of a New Anaesthetic Agent, which was soon heavily attacked. His strong recommendation that chloroform be used to alleviate delivery pains called upon him the wrath of the church and many of his colleagues, one of his fiercest opponents being the American surgeon Henry Jacob Bigelow (1818-1890). Simpson's demonstration, however, had proved the superiority of chloroform over ether beyond any reasonable doubt. Within weeks of his demonstration in 1847 of the superiority of chloroform, it had almost universally displaced ether as a general anaesthetic. In 1853 and 1857 John Snow, the royal accoucheur, delivered Queen Victoria's child with the aid of chloroform. Simpson introduced iron wire sutures and acupressure, a method of arresting haemorrhage, and developed the long obstetrics forceps that are named for him. He is also known for his writings on medical history, especially on leprosy in Scotland, and on foetal pathology and hermaphroditism. His reputation was such that he attracted patients from India, America, Australia. As a teacher he captivated his listeners with his performance, his knowledge, richness of details and his extraordinary memory. Simpson was also known for his power over patients, winning their complete confidence at first glance. Simpson was a thoroughly harmonious person, dedicated to serve mankind. Simpson in 1839 married his cousin, Jessie Grindlay, who survived him only a few weeks. Five of his nine children died before him. In 1866 he was created a baronet and was succeeded to the baronetcy by his son Walter Grindlay. Simpson is buried in Warriston Cemetery (Edinburgh). Around 1700 medical colleagues and public figures joined his funeral procession and more than 100,000 people lined the route to the cemetery. He is remembered by the Simpson Memorial Maternity Pavilion in Edinburgh, together with a statue in Princes Street Gardens and a bust in Westminster Abbey, London. Being a religious man Simpson was not, however, free of religious dreaming. He also concerned himself with antique studies, particularly of his native country. "If you follow these the noble objects of your profession in a proper spirit of love and kindness to your race, the pure light of benevolence will shed around the path of your toils and labours a brightness and beauty, that will faithfully cheer you onwards, and keep your steps from being weary in well doing - while, if you practice the art that you profess with a cold-hearted view to its results merely as a matter of lucre and trade, your course will be as dark and miserable as that low and groveling love that dictates it." A syndrome of abdominal swelling, pseudocyesis, depression of diaphragm and lordosis of spine. John Hutton Balfour, British physician, born September 15, 1808, Edinburgh, died February 11, 1884. Balfour attended the University of Edinburgh where he obtained his medical doctorate in 1831 and that year became a member of the Royal College of Surgeons of Edinburgh, a fellow in 1833. He subsequently commenced medical practice, but in 1840 began giving lectures in botany and in 1841 was appointed professor of botany at the University of Glasgow. In 1845 he moved to the same tenure at Edinburgh, also becoming head of the Royal Botanical Garden and Queen's botanist for Scotland. For 30 years John Hutton Balfor was dean of the medical faculty in Edinburgh, where he first introduced teaching in microscopy. He retired from his tenure in 1879, receiving the honorary L.L.D. from the three universities to which he had been affiliated. Balfour's numerous publications during the years 1862 to 1875 exclusively concern botany. A disturbance characterized by multiple tumorous masses formed by the bony infiltrates in myelogenous leukemia.